The Krewe of Mustang Sallies and Ryders, Inc. ("KMSAR") was formed in April 2005 by a group of socially-conscious business professionals to provide a forum for networking and socializing. KMSAR was organized under the IRS classification of 501(c)(7) - a "social club." Many krewes are organized under the IRS classification of 501(c)(3) - "Qualified Charity.' The rules for 501(3)(c) organizations are much more stringent than the rules for a 501(c)(7) organization. So, although KMSAR does raise funds for charities, and does do volunteer work, the members do it because they want to, not because they have to, or required to do so. KMSAR was organized by founders who wanted a less strict krewe atmosphere and wanted to have fun, socialize, network, help each other, not keep track of "points" or other merits of membership. That's why, our members, like the mustang horses of the West, are daring, fun-loving, and unwilling to ride with the herd. KMSAR members consists of men and women of all ages from diverse backgrounds and professions. Our Krewe culture promotes individuality and the belief that our success is due to the contributions of each of our members. 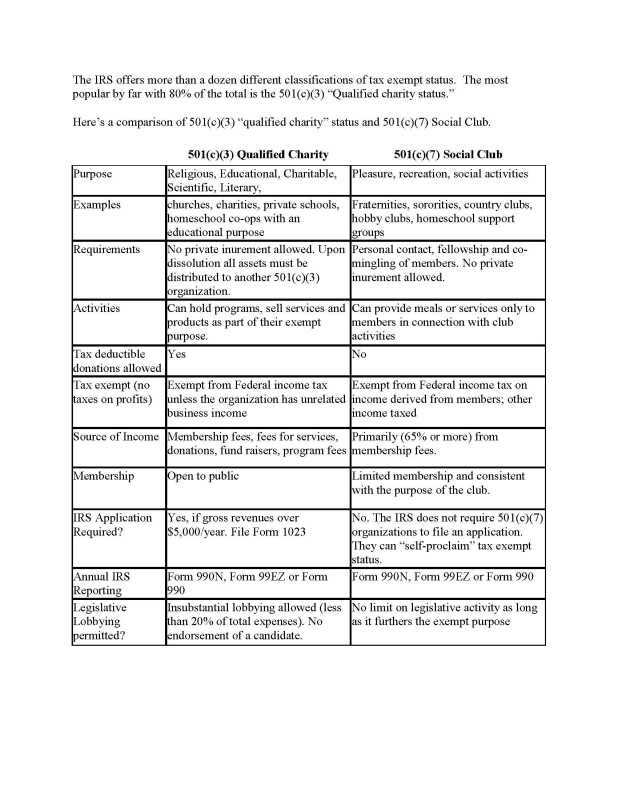 Below is a chart that shows some differences between a 501(c)(3) organization and a 501(c)(7) organization or social club.